If you would like to give a 30 Minute Reading to a friend or loved one as a gift, please click on the link below for details. 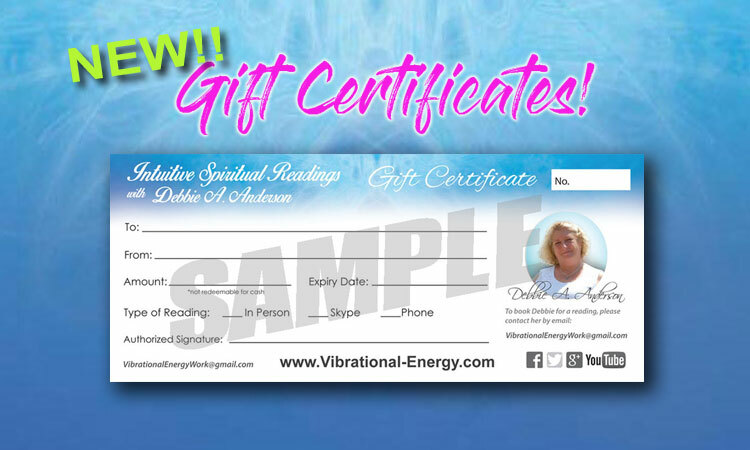 Click Here for E-Gift Certificates! Born in England, Debbie is a natural healer who has worked in the magical sphere of spirituality all of her life, bringing forth many modalities that have manifested and evolved along the way. She is a Clairvoyant Medium and has been doing intuitive spiritual readings for over 30 years in the UK, Canada, US, New Zealand and Australia. She currently lives in Central Canada. Each session is typically 30 to 60 minutes in length and is done through Skype or by phone. 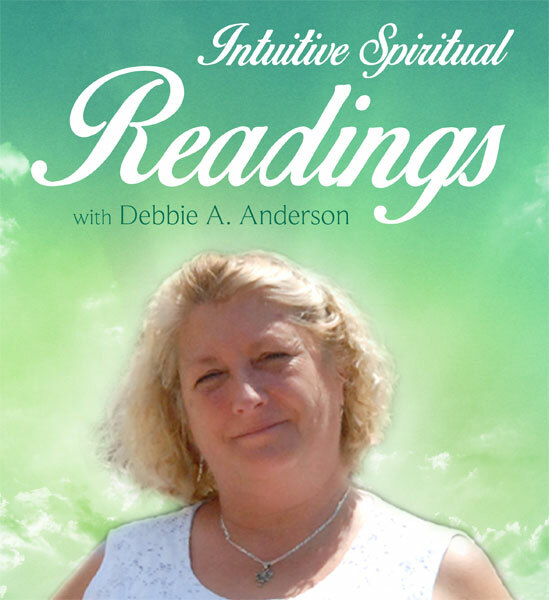 In Person Readings are available, when Debbie is not on tour. If this option is not available on the booking system, please contact Debbie directly for availability. Price is $65.00 for 30 mins. Once your reading is booked you will receive a personal email from Debbie, so remember to check your inbox! All readings via Skype/Phone will receive an invoice that needs to be paid immediately to secure reading. Please note: When Debbie is on Tour she has limited time available for doing private readings. If you need a reading on an urgent basis, please contact her directly. "One of the best I’ve ever been read by. I feel she was going through my family album...."
"she told me things that no-one including my family knew ..."
​"I would definitely see Debbie again if the opportunity comes up..."